Home › Store › Why Read Church History? Why Read Church History? is written by a man who is passionate about his subject. With infectious enthusiasm he outlines a number of important reasons why every Christian should develop a keen interest in what God has done in the past. He ably demonstrates the practical value of understanding church history, points out some of the pitfalls to be avoided, and gives useful advice about how to get started. The booklet concludes with recommendations for further reading. 2 testimonials for Why Read Church History? This is a fantastic booklet. Whether a keen Church History reader for many years or just beginning on your journey, this is a perfect ‘springboard’ into the triumphant days of our Christian heritage. There are tremendously important lessons to learn from this booklet and every single page is informative and should be read slowly. It lays out important warnings in places that i have taken much lesson from and the writer breathes an air of graciousness along side it. What we know as ‘great names’ in history are mentioned in the booklet including the Augustines and the Luthers. But even with these names the writer points out they were not perfect and in one place the writer uses that well known phrase but all to often forgotten phrase; ‘Yet even the best of men are only men at best’ (Pg 6). He warns against a developed ‘uncritical admiration for our heroes’ something we can all take heed of, especially those of us with an appetite for our favourite history makers that we enjoy reading time and time again. The booklet does not hold back on any point and is very challenging in parts and uses scripture to elaborate certain points which brings encouragement and strength to the soul. If you ever wanted to explain to a young Christian why he or she should read church history, then all the explanations are found in this gem of a booklet. For young people it’s certainly not a popular thing in todays age to read, never mind reading ‘Church History’. But this should certainly wet the appetite of any young Christian to delve deeper into our Gods victories in times past. 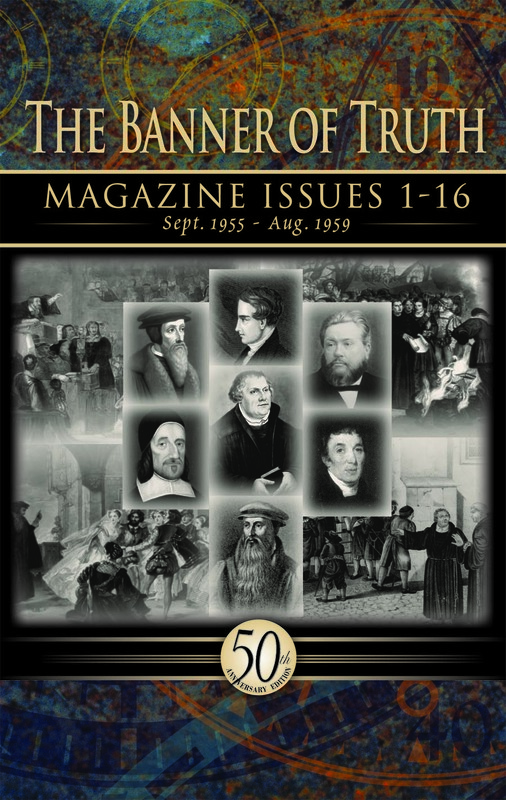 The popular names are mentioned in this booklet including Augustine, Luther, Whitefield, Spurgeon, Lloyd Jones and JC Ryle. My own personal favourite period of church history has always been the 18th century and a fantastic quote from the book really challenged me in a great way. This quote i wont forget and will carry as a guide for the rest of my Christian life, it said; ‘We do not need eighteenth century Christians today, but modern Christians of eighteenth century calibre’ (Pg 9). What an outstanding statement! How true! How different our nation would be if we had men of a Whitefield or a Daniel Rowland calibre! But most importantly of all and lest we ever forget this, that within the booklet is the Name of the Greatest man who has ever walked the earth, our God and Saviour The Lord Jesus Christ! Mr J.P Arthur rightly points out on page 10 something he was told by one of his mentors; ‘Remember to put the crown on the right head’. Those are great words of wisdom and i think the apostle Paul puts it all into perspective in his glorious doxology at the end of Romans 11:36 when he said; ‘For of Him, and through Him, and to Him, are all things: to whom be glory for ever. Amen. This is a very useful book, I read it in about 30 minutes, it is very informative but also a very good referance book. Mr. Arthur gives some the best reasons to read church history, but also informs us of some things to watch for, this little book helped me to understand to how to take history with a grain of salt, but as he says be like the Bereans. Men are fallible, Thank you for such a special guide.